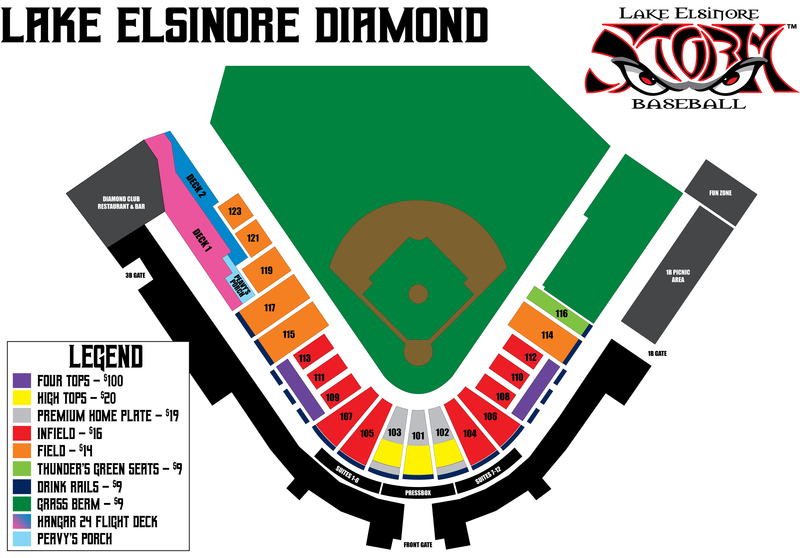 Affectionately known as the "Mayor" during his playing days with the Storm, Joe Urso was a fan favorite of the Lake Elsinore faithful. Drafted by the California Angels in the 49th round of the 1992 MLB Amateur Draft out of the University of Tampa, Urso was primarily a Storm middle infielder during the team's first three seasons. He was a standout on the inaugural 1994 team, and an All-Star and Storm MVP in 1996, leading Lake Elsinore to its first California League Championship. He is the franchise record holder in numerous categories including games (326), hits (353), runs (221), RBIs (146) and doubles (93). Urso became a Storm player-coach in 1997 and an Angels Minor League Manager in 1998 before returning to his roots in 2001 as the head coach of the University of Tampa baseball program. Coach Urso has since led the program to four NCAA Division II National Championships, more than 700 wins, and was honored in 2017 with the Lou Pinella Lifetime Achievement Award for his years of contribution to the Tampa sports community. The Storm retired Urso's #7 at The Diamond in 1997. The decorated right-handed pitcher donned the Storm eyes as a 19-year-old in 2001, making 19 starts for the Cal League Champions who also were named Baseball America's Minor League Team of the Year after going 94-49 overall. Jake was a key member of the best team in franchise history, going 7-5 with a 3.08 ERA with 144 strikeouts in 105.1 innings. On June 22, 2002 he made his MLB debut in San Diego versus the New York Yankees, going six innings in a 1-0 loss in front of 60,000 fans at Qualcomm Stadium. Peavy became an All-Star in 2005 for the first time. In 2007, the Semmes, AL native earned the pitching triple crown, leading the National league in wins (19), earned run average (2.54) and strikeouts (240). Peavy also earned his second All-Star nod that season and won the Cy Young Award as the National League's top pitcher. He earned his third All-Star selection in 2012 as a member of the Chicago White Sox. A midseason trade in 2013 landed him in Boston, where he helped the Red Sox win a World Series en route to his first championship ring. A year later, another deadline trade sent Peavy back to the West Coast, where he was a part of the San Francisco Giants' World Series crown while becoming the first pitcher to win back-to-back World Series titles for two teams in different leagues. In Lake Elsinore on Opening Night 2008, proudly accompanied by his family and a sellout crowd, Jake Peavy threw out the ceremonial first pitch and had his #22 retired at The Diamond.